I have a new Mac mini 2018. I want to get surround sound over HDMI. I have a receiver that is capable of transmitting 5.1 surround sound to my speakers, and HDMI video to my projector. I have confirmed that this is possible using alternative hardware (e.g. Windows PC). When I connect my Mac mini to the receiver, I get video to the projector and sound to the speakers. However, the sound is only 2 channel stereo. I have tried using the Audio MIDI Setup app to configure the audio. I can choose 5.1 Surround as speaker configuration, but when I test that setup, sound is only output through the two front stereo speakers. Strangely, the Audio MDID Setup app identifies my audio as DisplayPort, even though it should be HDMI. 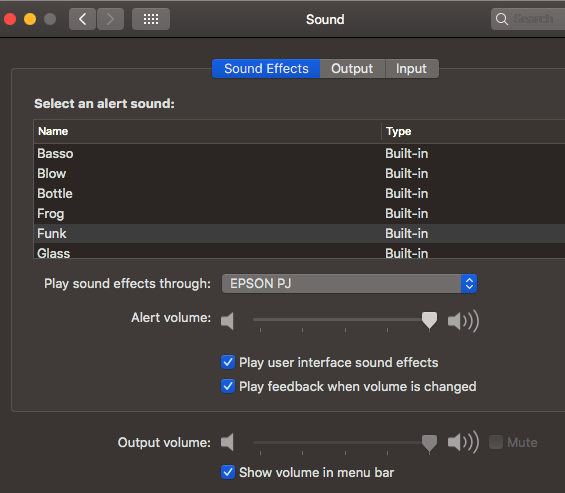 Also a bit strange, in the Sound Effects tab of the Sound settings, I can choose EPSON PJ for Play sound effects through, but Output volume is disabled. Ok, I managed to 5.1 surround to work! Presets the sound as it was recorded/ encoded without adding any surround effects. Not the answer you're looking for? Browse other questions tagged audio mac-mini hdmi displayport . Does this Mini DisplayPort to HDMI connector output audio? Is surround sound easy on a mac? An app for looking at sound levels for surround sound channels?